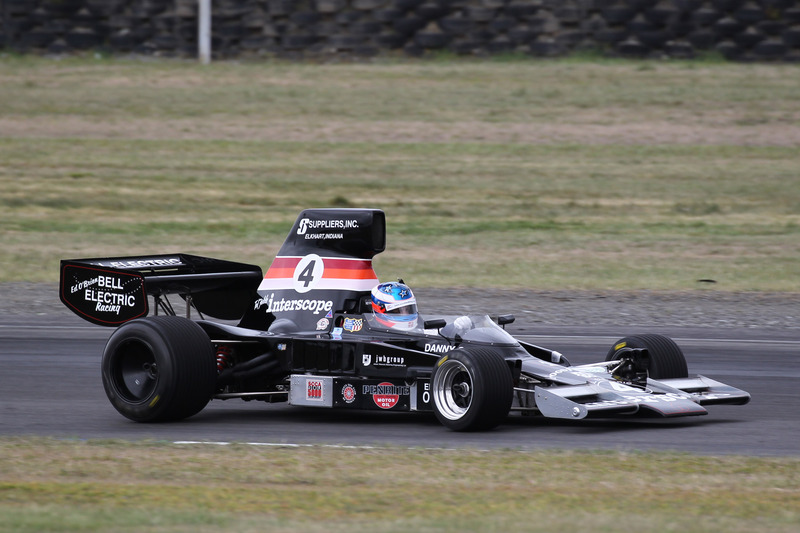 Drivers contesting the final round of the 2017/18 SAS Autoparts MSC NZ F5000 Tasman Cup Revival Series at Phillip Island include Andy Higgins (Lola T332#4), David Banks (Lola T332), Grant Martin (Talon MR1A#25) Photo credit: Fast Company/Alex Mitchell. 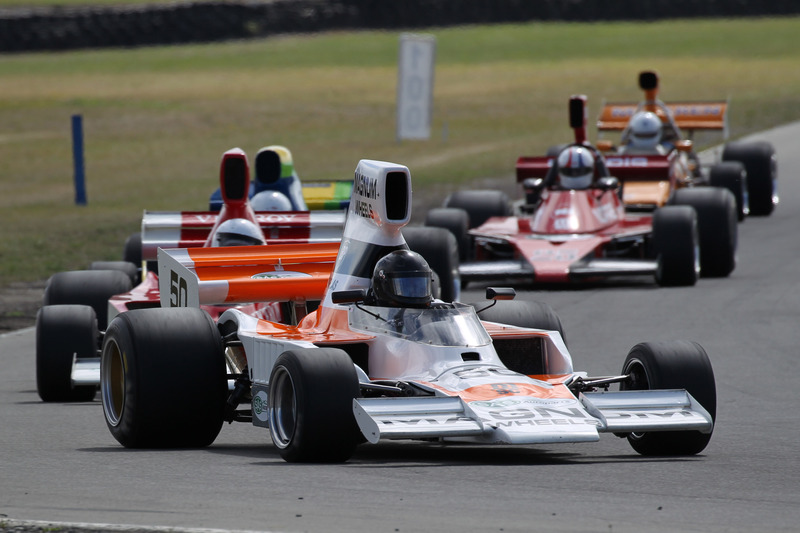 With the third round of the SAS Autoparts MSC-backed 2017/18 F5000 Tasman Cup Revival Series run at the big Taupo Historic Grand Prix meeting at Bruce McLaren Motorsport Park in mid-January the Kiwis were the first category aficionados in the world to officially mark the landmark anniversary at a race meeting. With a full schedule of both races and social activities planned from Friday through Sunday at Phillip Island the Australians will be second. And later in the year – at the Rolex Monterey Motorsports Reunion meeting – over two weekends in August, the Americans will get their turn. “It really is coincidental,” says New Zealand Association committee member David Abbott, “but history is definitely on our (the Kiwis’) side. “The Sports Car Club of America (SCCA) was the first sanctioning body to embrace the category. But New Zealand was one of the first countries outside the United States to run an F5000 race, at Mount Maunganui’s Bay Park circuit on December 28 1968. Nine Kiwi drivers have made the trip to Phillip Island for the final round of the 2017/18 SAS Autoparts MSC series, a number down on previous visits, although not for any one reason. Iconic Kiwi motor racing legend Ken Smith will join fellow category originals Alfie Constanza, Kevin Bartlett and Alan Hamilton as special guests at the meeting. However the 76-year-old supervet had to leave his Lola T332 back in New Zealand having run out of time to rebuild its engine after a valve broke at the penultimate series round in Christchurch last month. That still leaves a nine-strong ‘landing party’ comprising former SAS Autoparts MSC F5000 Tasman Cup Revival Series title holders Ian Clements (Lola T332) from Christchurch, Andrew Higgins (Lola T332) from Auckland and (defending champ) Brett Willis (Lola T330) from Rotorua, David Banks (Lola T332), Aaron Burson (McRae GM1), Grant Martin (Talon MR1A), Frank Karl (McLaren M10B) and Tony Galbraith (Lola T332) from Auckland, and Class A (for earlier model cars) standout Dave Arrowsmith (Lotus 70) from Christchurch. Facing the Kiwis is an 11-strong ‘home side’ consisting of local series’ pace-setter Tom Tweedie (Chevron B24) from Sydney, former Radical sports car series champion Tim Berryman (Lola T332) from rural New South Wales, category original (and round special guest) Alfie Constanzo (McLaren M10B), Queenslander Maxwell Pearson (Elfin MR5), South Australian Adrian Ackhurst (Lola T332), SAS Autoparts MSC series’ NZ-round regular Rodney Carroll (Lola T140), and local (Victorian) drivers Dean Camm (Chevron B24), Frank Harris (Chevron B24), Richard Splatt (March 732A), Michael Glynn (Elfin MR8-BC) and David Crabtree (March).